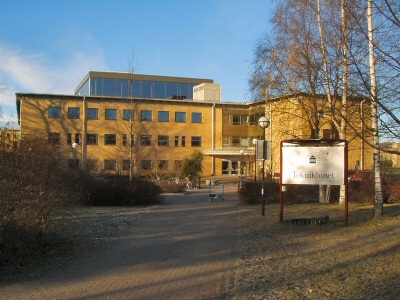 The Swedish Institute of Space Physics (Institutet för rymdfysik, IRF) is a governmental research institute with about 100 employees. Its primary task is to carry out basic research, education and associated observatory activities in space physics, space technology and atmospheric physics. IRF has employees in Kiruna, Umeå, Uppsala and Lund. The main office is located in Kiruna in northern Sweden (geographic coordinates 67.84° N, 20.41° E).